This exclusive AirLucite® Patent Plaque is elevated 1/2” from the wall, creating a seamless floating effect. The minimalistic design, is a simplistic solution for a modern patent wall or office display. The concealed mounting mechanism allows you to hang this plaque by resting it on a simple nail or screw. No special tools or mounting hardware are needed. Available in the standard front-page patent layout and also in four additional custom layouts (As displayed in the final product image). 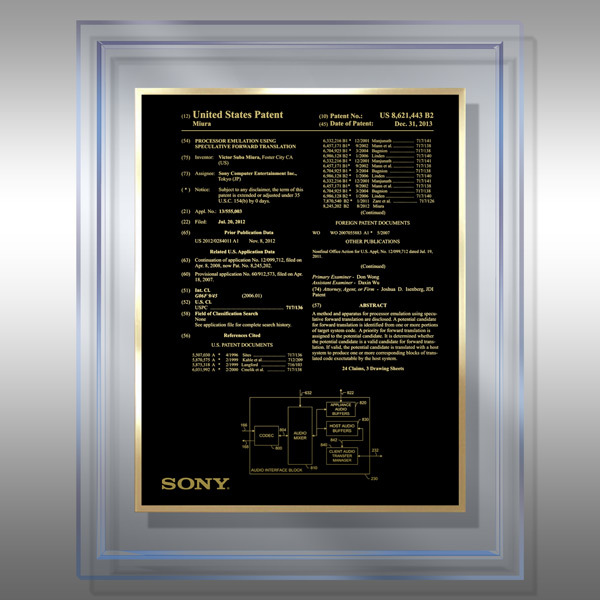 Patent information is engraved/imprinted on a Black Metal Plate, mounted on a 3/16” Lucite ® (Ice) board, and accented with a bright metal trim. Also available in smaller 11" x 14" size with a single Lucite ® layer. Also available in our Silver HD or Gold HD Plates. Layout proofs (mock-ups) of this product will be emailed for approval prior to production. 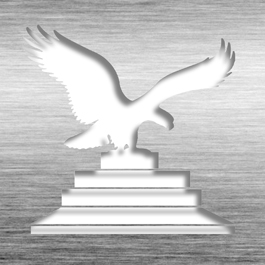 This Patent Plaque - AirLucite ® Ice AI2-BB15 is part of our Modern HQ Series of Patent Plaque products, check out other products & options available in the Modern HQ Series of our Patent Plaque selection. This Patent Plaque - AirLucite ® Ice AI2-BB15 is compatible with our rail display system and is available for your corporate patent walls or patent awards programs.